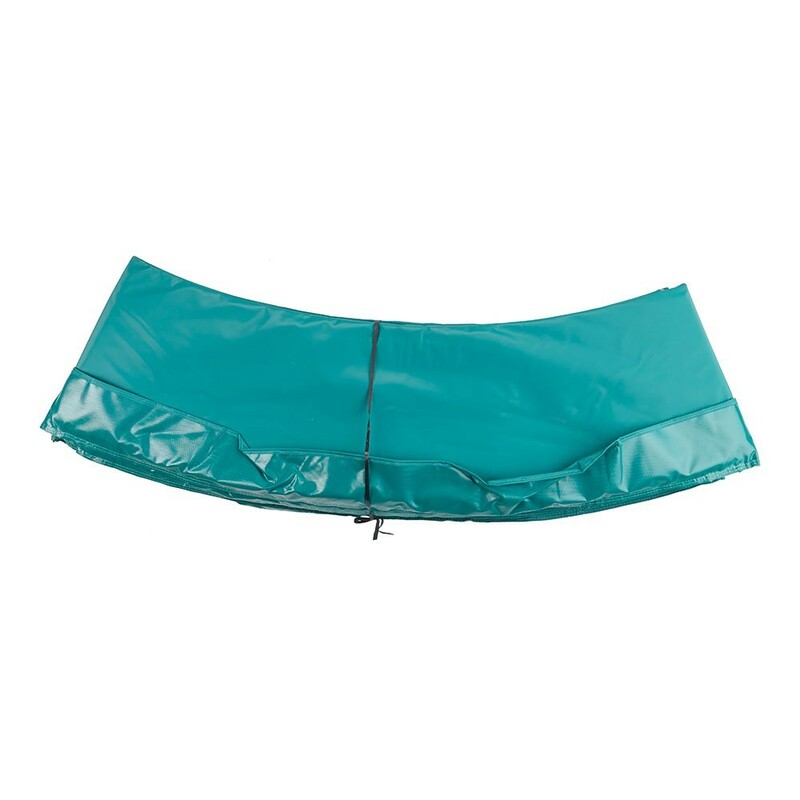 12ft Green frame pad for 3.60 m garden trampoline. Safety on your trampoline is ensured by its frame pad. It is an essential component of your trampoline as it covers the springs if you accidentally fall on them. If your frame pad is beginning to be show signs of damage, try to replace it as soon as possible. 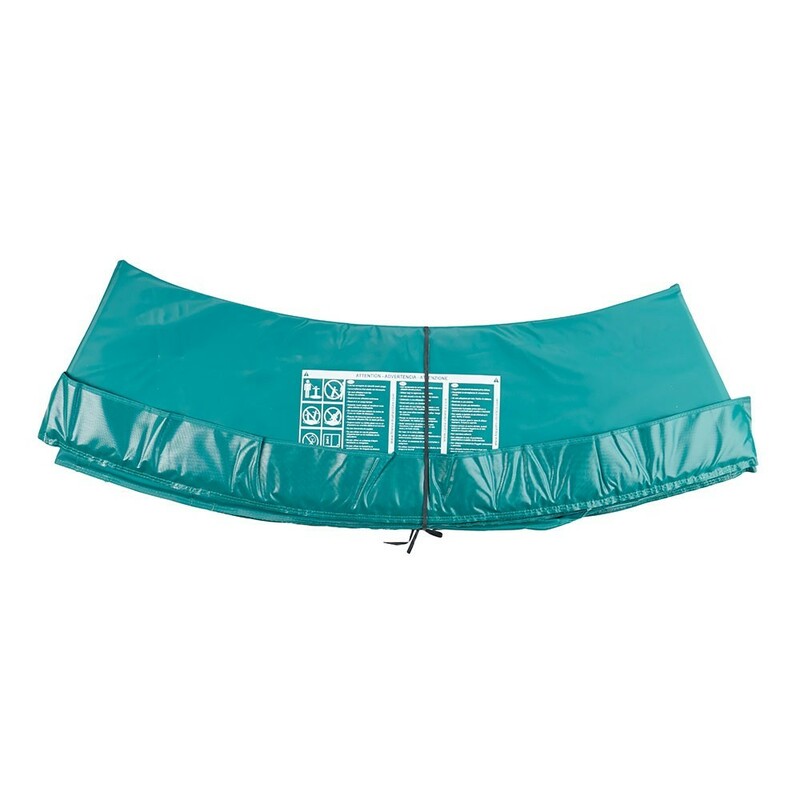 This frame pad is adapted to any 12ft trampoline of 3.66 m in diameter with springs of a maximum length of 180 mm. 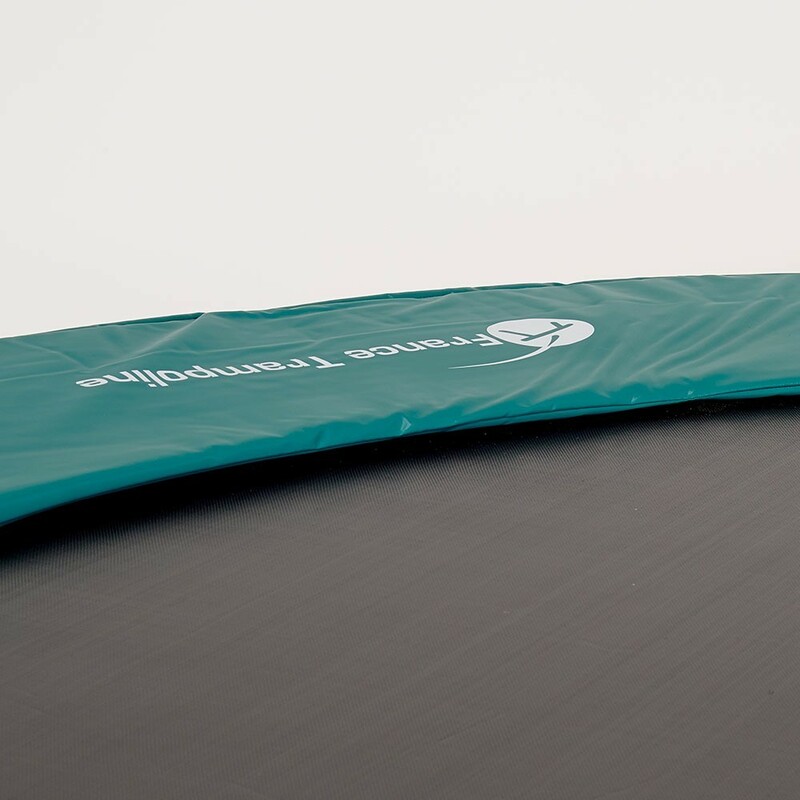 - Our green 360 frame pad for recreational trampolines of 3.66 m can be used with the Oxygen 360, Access 360 and Jump’Up 360 trampolines. 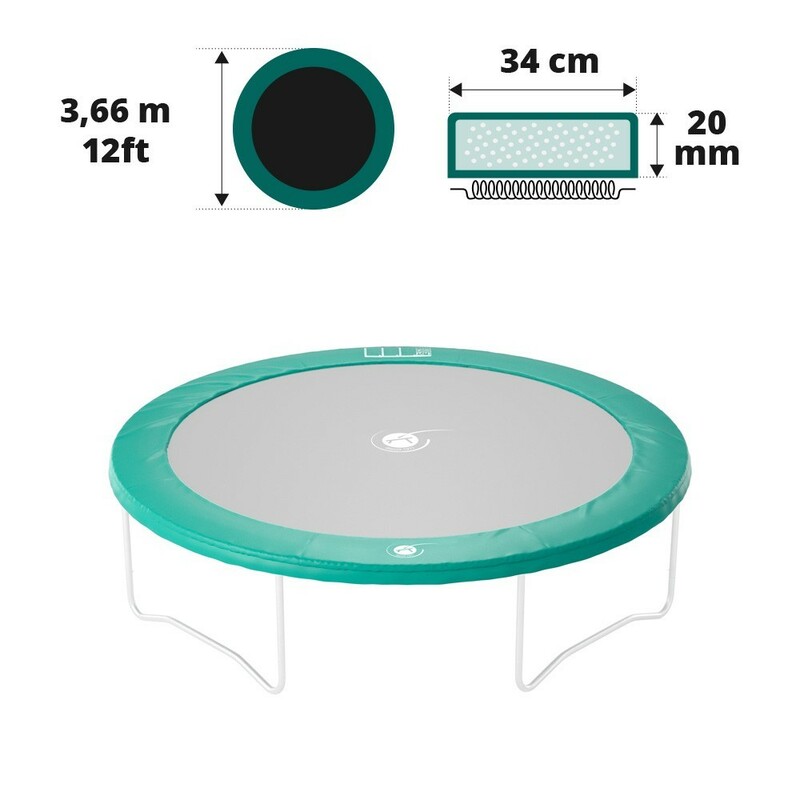 It can also be used with any other trampoline which has an exterior diameter of 12ft/3.66 m of a brand other than France Trampoline, that has springs no longer than 180 mm in length. - Our frame pad for 3.66 m trampolines is made from monobloc EPE foam. We chose to use EPE (expanded polyethylene), of 25 mm in thickness for several reasons: its flexibility, impermeability and shock absorption. This frame pad will not only be shock resistant for many years but also weather proof. You will not, therefore have any problems with frost or mould. 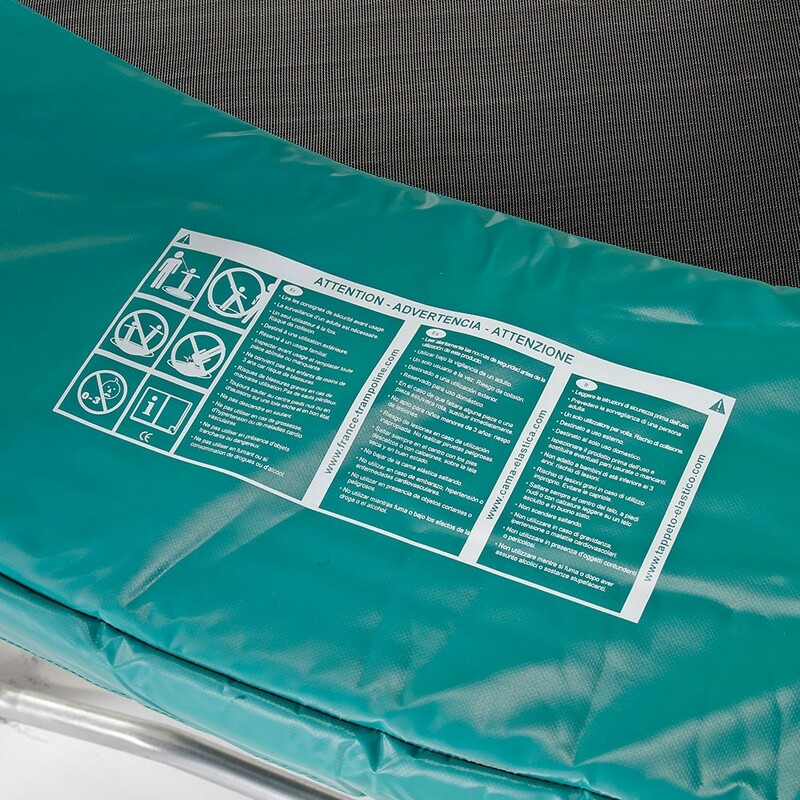 - We chose to cover our frame pads in 0.55 mm thick, green PVC of 650 g/m² in density. This PVC is highly resistant and is also used to make lorry tarpaulins. 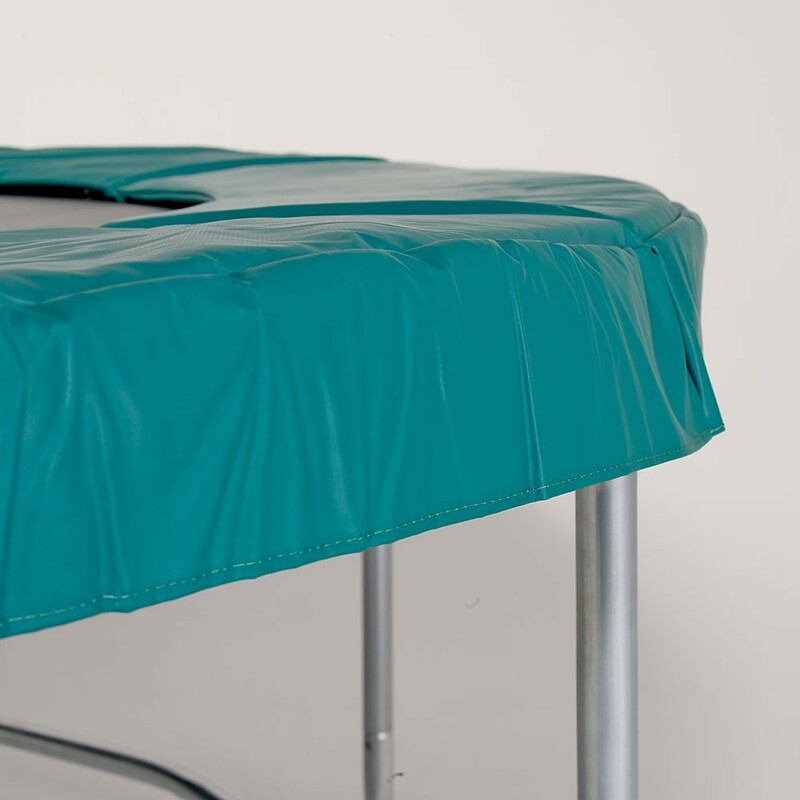 - A simple but efficient system is used to hold your frame pad in place on your 3.66 m trampoline. Steel eyelets are placed around the interior contour of the frame pad and thanks to the 16 elastic straps threaded through them, a slight space is left between the springs and the frame pad avoiding any friction and damage.